Foxhall gives its name to one of the longest roads in Ipswich  but how many Ipswich people know that there is a hamlet of this name near the end of it? In reality, Foxhall Road leads to Foxhall Heath, home of Ipswich Witches speedway team, local television and radio transmitters, and a derelict USAAF communications base. The former parish, now subsumed into Kesgrave and Bucklesham, lies to the south of here. There are half a dozen houses, a few farms, and not much else. 200 people lived here as recently as the 1841 census. The church had fallen into disuse at around the time of the Reformation, but not for political reasons; rather, the changing patterns of worship, and the proximity of the houses to other churches, lessened the need for it. Blatchly tells us that it was a vicarage of Holy Trinity, Ipswich - that's the Priory where Christchurch Mansion is now, of course, not the undistinguished Victorian church. Blatchly also tells us that, although the tallymen of the Reformation remarked upon it as one of the most decayed churches in Suffolk, Henry Davy was able to draw a recognisable remnant of it as late as 1849. As a perpetual curacy, ministers were appointed to the Parish of Foxhall well into the 19th century; however, as it was consolidated with the the living of Brightwell, the Vicar had a church there that people could come to. Most Suffolk churches suffered neglect between the 16th and 19th centuries. In the case of All Saints, it was enough to lose it as a Parish church; but not, surprisingly, as a landmark. Remarkably, rather a lot of this church building survives, and not hidden away on the heath overgrown with broom. 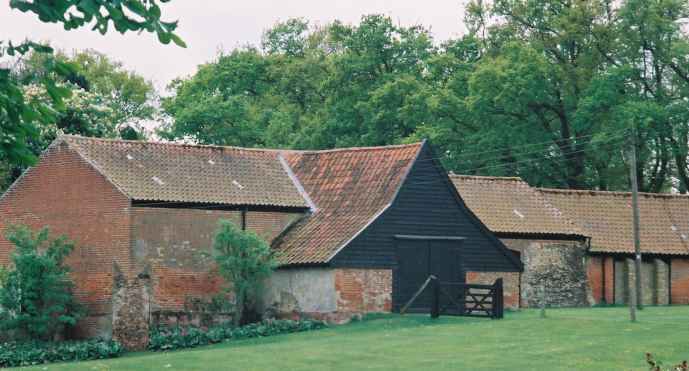 In fact, the north wall can still be seen put to a new use as part of the barn of Foxhall Farm. It stands at the top of a slope overlooking one of the backroads that link Foxhall Road with Bucklesham Road. Two enormous buttresses give the game away, as well as an expanse of flint amongst the red-brick. You cant help being reminded of neighbouring Brightwell church, which also sits at the top of a slope; youll find it overlooking the next road eastwards. Brightwell church has also been altered, having been the subject of a rare rebuilding during the Commonwealth period.But in the 15th century, they must have made a fine pair. 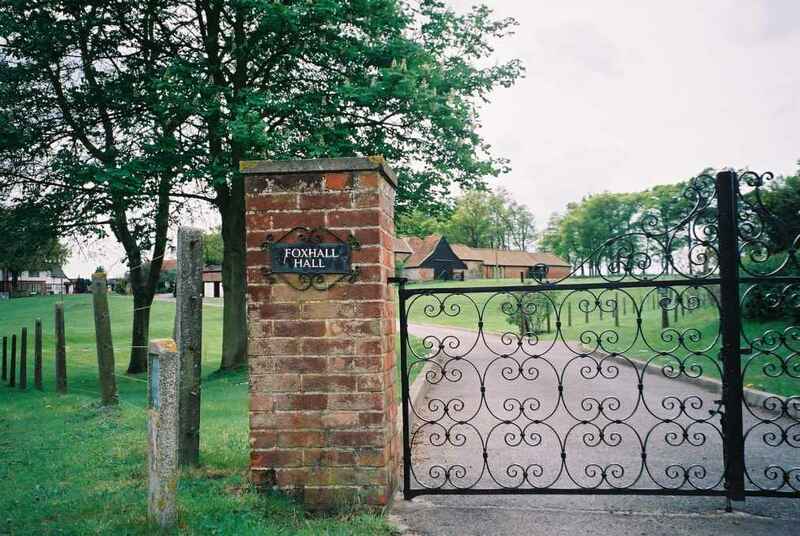 All Saints, Foxhall, is now a barn at Foxhall Farm, to the right of the second turning right off of Foxhall Road, leaving Ipswich, after Foxhall Stadium and before the Borough refuse dump. A public footpath goes near, but you can see it clearly enough from the road.